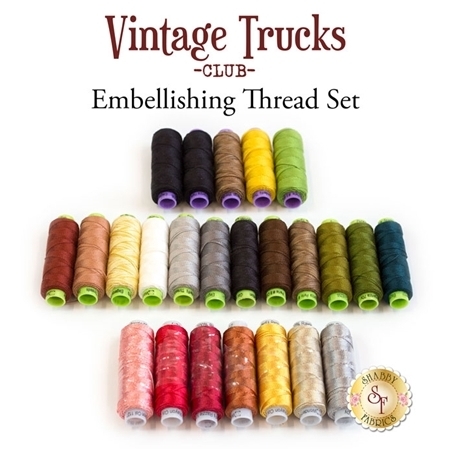 This coordinating 24 piece thread set has been hand selected for embellishing the Vintage Trucks Wool Mats! This is a must have thread set for anyone creating these gorgeous wool mats! These threads are also wonderful for any project that needs that extra special touch of hand embroidery!